Sharon and Donnie were both born and brought up in the area, Donnie in Inverness and Sharon in Arabella 45 miles North of Inverness. We are an ideal base for touring the Highlands. Kinnoch Lodge is situated in the City of Inverness down by River Ness. The walk to town is only 5 minutes. Beside us is Eden Court Theatre and Cinema. Across the river is the beautiful Inverness Castle. 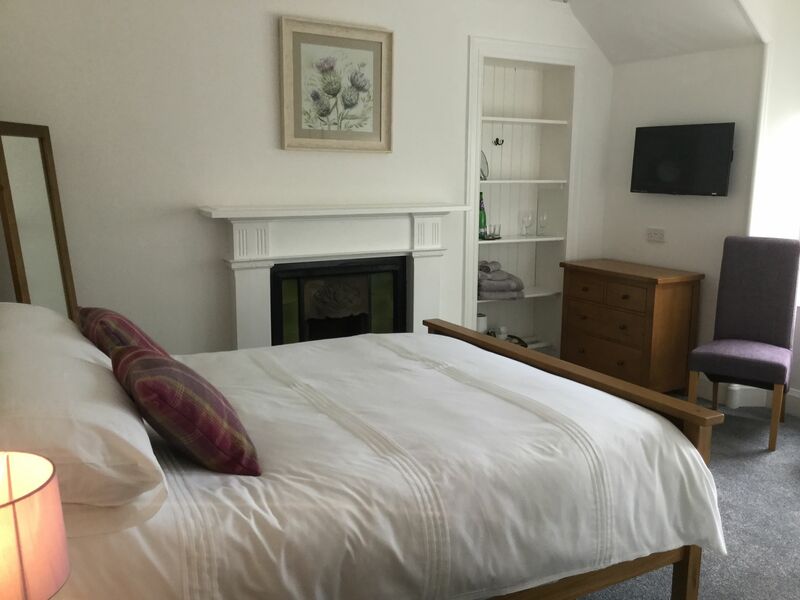 Whether you are searching for the Lochness Monster, following the Whisky Trail, Visiting the mystical Isle of Skye, The Culloden Battlefield, or just browsing around, Kinnoch Lodge is an ideal base. Beautiful sandy beaches and a variety of superb Golf Courses which are within easy reach. Inverness Golf Club, Torvean, Fairways, Castle Stuart or The Royal Dornoch. The Highland Glens and Mountains and beautiful Lochs have a mystic of there own. There are boat trips on Loch Ness to see if you can spot NESSIE himself!!!!!!! Inverness the Capital of the Highlands has plenty shops & restaurants. Also on our doorstep is the Aquadome with indoor swimming and activities, an ice rink, skate park, boating pond, playpark, crazy golf all within five minute walk from here. We welcome you to Inverness and hope that you enjoy your stay and visit to the Scottish Highlands, and your stay at Kinnoch Lodge.Kinnoch Lodge is the family home of Sharon and Donnie and their three children, where you are assured of a warm and friendly welcome.